OK so even on Wordless Wednesday I have a hard time being absolutely 'wordless' This picture was taken in the expo hall during BlogHer 2010 at the Hilton in New York City. I was so tempted to poke his belly! The tasting opps at this booth were totally decadent and sinful, it was way too good to calorie count! You really do like him! Didn't I take another pic of you with him! LOL! I can imitate his voice and giggle spot on! 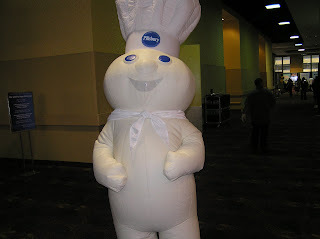 I love the doughboy, I have tons of mascot photos from BlogHer! 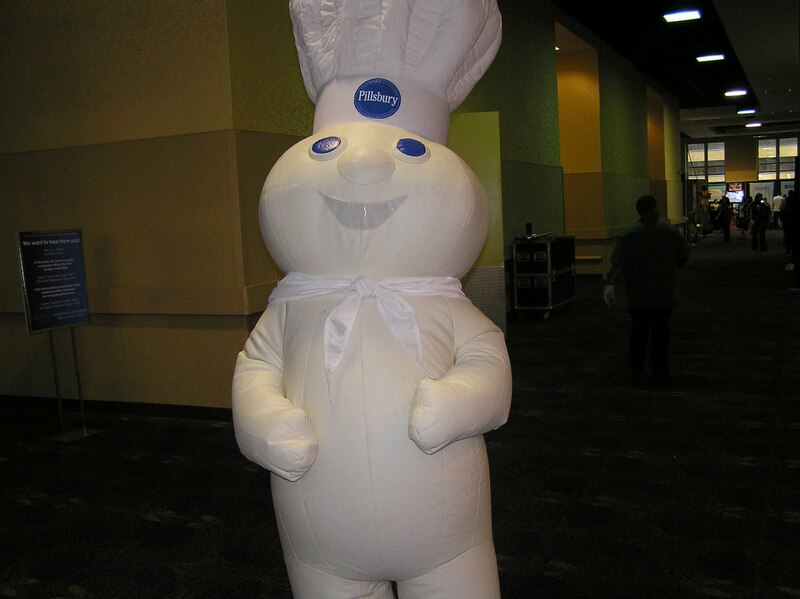 You took a pic of me and the doughboy in one of the suites and I took this one on the expo hall floor! I will never forget what put the 'serenity' in the serenity suites though, RFLMAO!!! !